Flood insurance covers damage caused by rising water. Floods can happen anywhere, anytime–not just in coastal areas or near lakes and rivers. Torrential rain, snowmelt, mudslides, dam failures and inadequate drainage systems can all cause flood losses. There are two types of flood policies: Preferred and Standard. The flood hazard zone you live in determines the type of policy you should buy. If your property is located in a low risk zone, you may qualify for a Preferred Risk Policy, making you eligible for coverage at a lower rate. Low risk policies start as low as $119. The threat is real and flood insurance should be a consideration for all homeowners regardless of where you live. Remember, “low risk” does not mean “no risk”–almost 25 percent of all flood insurance claims come from areas with minimal flood risk. The average flood claim payment is $33,000. The federal government requires mortgaged properties in Special Flood Hazard Areas (SFHA) to be insured against flooding. And the rates are set by the government, so they are the same regardless of the carrier you choose. Bankers is a Write Your Own (WYO) authorized carrier for the National Flood Insurance Program (NFIP). Basic building coverage is available up to $250,000. It pays to repair or replace the insured building and its foundation, electrical and plumbing systems, central air conditioning, furnaces and water heaters, refrigerators, stove and built in appliances and most permanently installed items in your home. For more detail see floodsmart.gov. Contents coverage is available up to $100,000. It is not automatically included in a flood policy. You need to add it, and we recommend that you do so. Contents coverage provides payment for the contents and personal belongings within your home. This includes things like clothing, furniture, electronic equipment, curtains, portable appliances and larger removable appliances such as washers and dryers. There are some exclusions, so discuss this coverage with your agent. There is a mandatory 30 day waiting period on new flood policies. 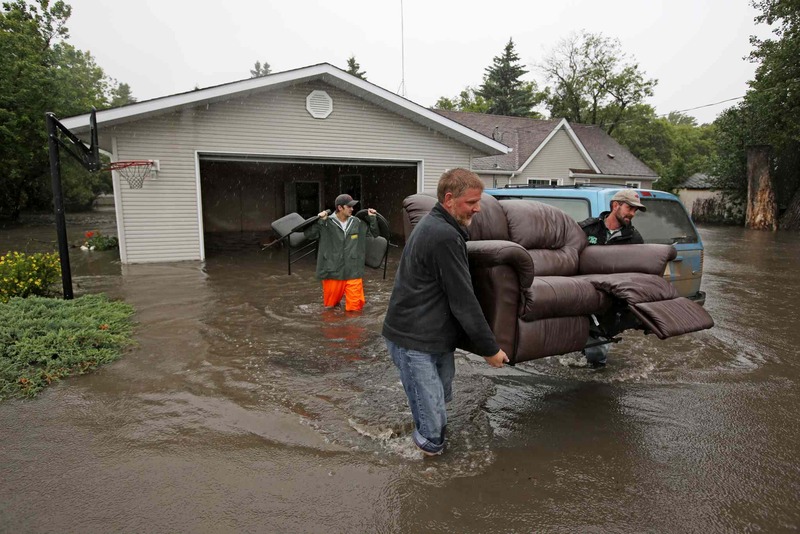 Your Standard or Preferred Flood Insurance Policy must be provided by the National Flood Insurance Program (NFIP) or a company like Bankers that is a Write Your Own (WYO) carrier. Your property must be insured for the maximum limits available from the NFIP/WYO. The Excess Flood policy deductible is actually equal to your Standard or Preferred Flood Insurance policy coverage limit. This means that the damage to your property must be greater than the maximum coverage allowed by the NFIP in order for the Excess Flood policy to come into play. No further deductibles apply. An Excess Flood policy provides coverage for a single building. Contents coverage is optional. Itemized or scheduled property coverage is not available. The policy term is 12 months; however, it must line up with the underlying flood policy, so the term may be longer or shorter to adjust the Excess policy to the Flood policy expiration date. Excess Flood insurance can be confusing. If you’re unclear on any of the above explanations, your Bankers agent will be glad to help. Living in a CAT State? Those of us who live in a “CAT State” – a catastrophe-prone state – know that being prepared is key. This includes having the right insurance coverage. That said, one of the most important considerations in selecting an insurance company – especially if you live in coastal states – is catastrophe experience. Bankers has weathered an impressive 25+ catastrophes and offers exceptional customer service and claims response time. You don’t want to think it can happen to you, but, in the event of an emergency, you want an insurance company that knows precisely how to meet your needs. Remember, you can buy Earthquake and Flood Insurance separately. These two important risks are not covered in your basic homeowners policy. A Flood Elevation Certificate is an important tool of the National Flood Insurance Program (NFIP) used to certify building elevations in Special Flood Hazard Areas. The Certificate is used to help determine proper flood insurance premium rates and as supporting documentation for flood map revision requests. Elevation Certificates are completed by a licensed land surveyor, engineer, architect or designee of the State. Visit www.DimmittInsurance.com for a free flood insurance quote. Dimmitt Insurance is proud to sell Bankers Insurance.